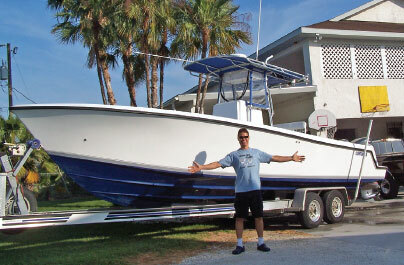 Speed, handling, and fishing all come into play when choosing the best boat for high performance fishing. 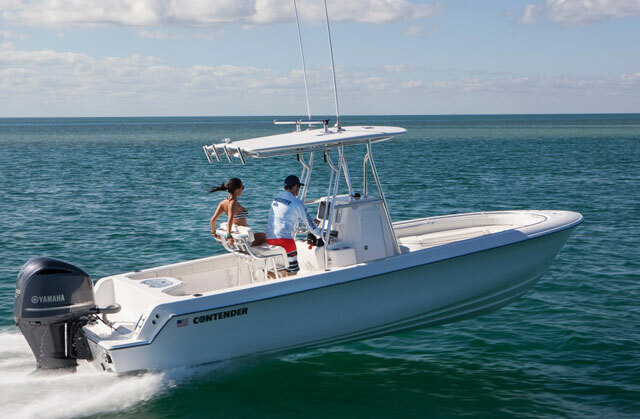 If you’ve ever been on a Contender 28 Sport then you’ve felt the rush of neck-snapping acceleration, 60 MPH-plus top-end speeds, and sportscar-like handling. You may have also felt the rush of an angry pelagic on the end of your fishing line. 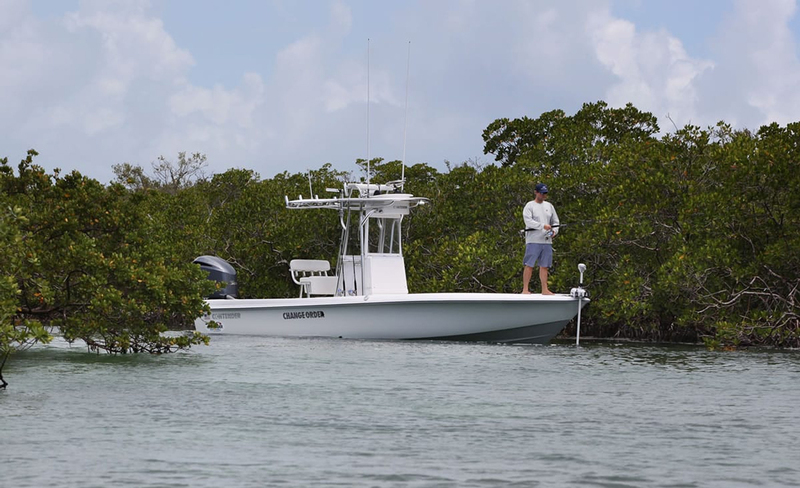 That’s because Contenders offer a mix of high-performance boating and center console fishability that the people at FB Marine Group like to call “performance fishing”. You want maximum fishability and maximum performance? 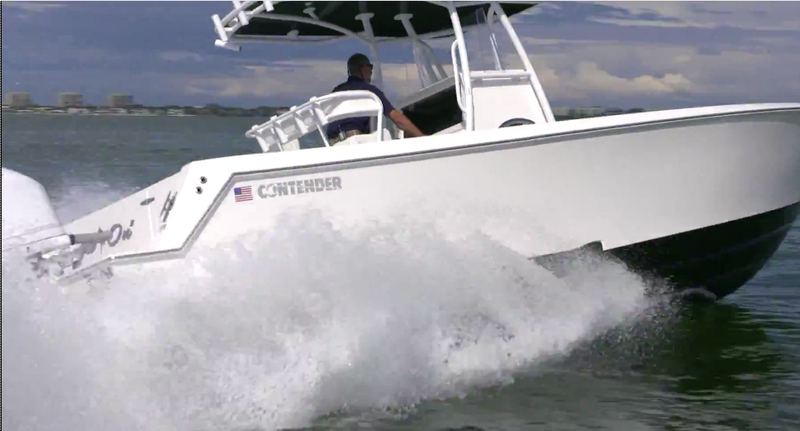 The Contender 28 Sport delivers both. 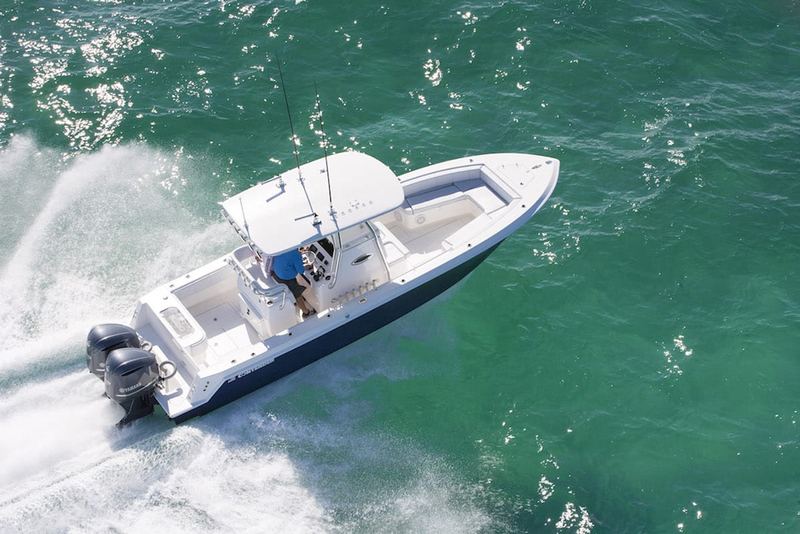 And while the 28 Sport may be the most popular model with FB Marine customers, it’s just one of many high-performance offerings from this builder. We were particularly impressed when we tested the twin-stepped Contender 30 ST, which hit a top-end of 66 MPH (powered by a pair of F300 Yamahas) and attained 2.2 MPG at speeds of almost 30 MPH. Just as importantly, the hull gripped the water in turns and didn’t slide or feel loose at all, a problem with some other stepped-hull boats. On the fishing front, meanwhile, big aft fishboxes and a huge box in the bowdeck mean you can ice down anything from a minnow to a marlin. The livewell holds a whopping 80 gallons, and the bow seating is designed to allow an angler to fish up forward or even gaff or net from in the bow. 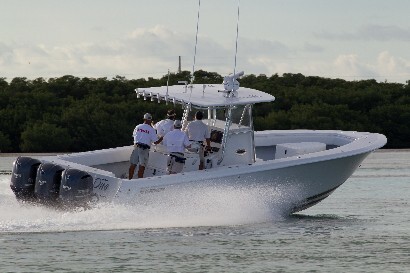 A very different but still quite impressive Contender that serves up “performance fishing” is the 25 Bay. We ran one in the backcountry and then 15 miles out into the ocean, and found that unlike many bay boats this one keeps you dry and comfy in open waters. It has 15.5 degrees of transom deadrise, which is unusual for this builder (most Contenders have a deep-V with that 24.5 degrees at the transom), but this helps minimize draft so you can still sneak into those shallow water hotspots. It also enhances stability, an important trait when anglers stand on the elevated fore-and-aft casting decks. And yes, this boat does offer the same eye-watering performance you expect from other Contenders. We hit 60 MPH with a single Yamaha F300, and cruised at 45 MPH—for as long as we could stand to go that slow. There are, of course, Contenders both smaller and larger. Today’s line includes eleven models ranging from 22’ to 39’. 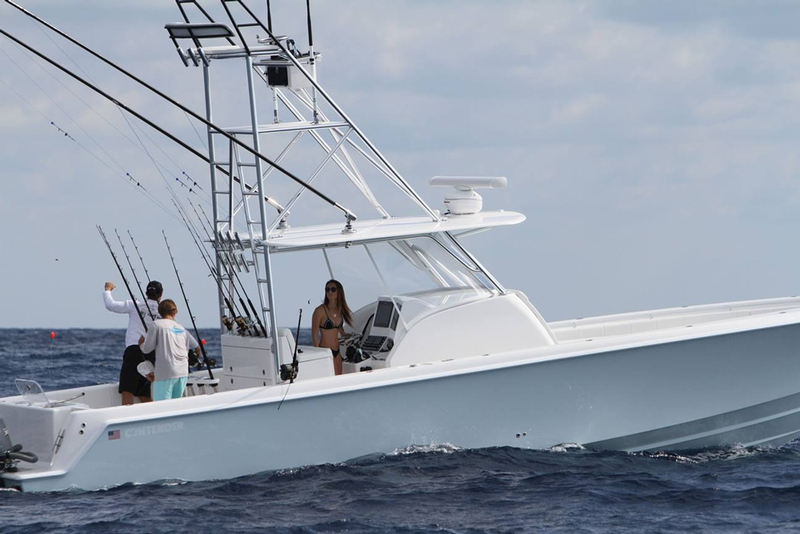 The flagships of the fleet are the 39 Fisharound (a triple-engine rig with an enlarged console cabin including a berth, a small galley, and head compartment) and the 39 ST (designed for more hard-core angling, with a smaller, more fishing-oriented console). 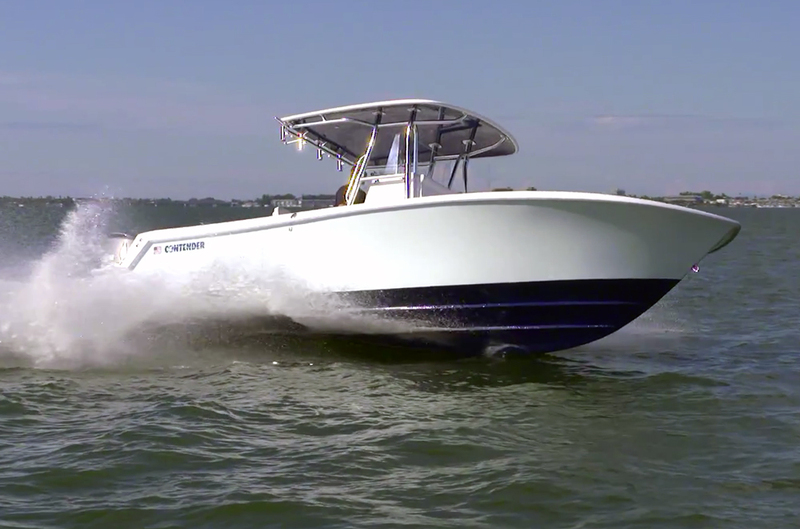 Yet even with these larger boats, Contender maintains its high-performance attitude. When we tested the 39 ST with triple Yamaha F350’s we attained a top-end of 70—yes, 70—MPH. 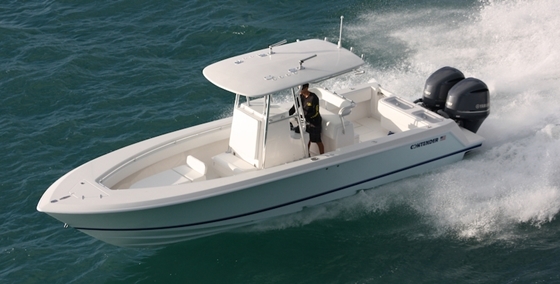 Designed to add a bit of comfort to your day of fishing, the 39 Fisharound is still one speedy ride. Editor’s Note: Promotional consideration for this article was provided by FB Marine.